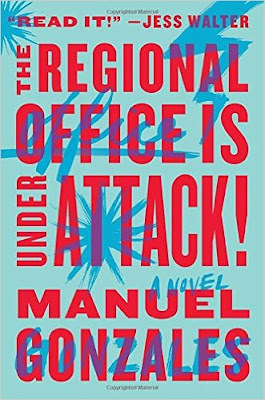 MadRiver Pictures has acquired the rights to Manuel Gonzales’ debut novel "The Regional Office is Under Attack," and is developing it as a feature film with Ruben Fleischer (Zombieland, Gangster Squad) to direct. Jennifer Ames and Steve Turner will adapt. The novel, which was published earlier this year, is an outrageous action-comedy about a secret organization of young female operatives who are tasked with protecting an unknowing Earth from a constant barrage of alien threats. Fleischer and David Bernad of The District will produce with MadRiver’s Marc Butan. Edward Fee and Riverstone Pictures’ Deepak Nayar and Nik Bower are executive producing. “It’s rare that you read a book so original and so funny that so clearly translates to a big, fun, commercial film. We feel very lucky Manuel has entrusted us with his first novel, and are excited to work with Ames and Turner and MadRiver to bring it to life,” Fleischer said. "We are thrilled to be in business with Ruben and his team on ‘The Regional Office,’" Marc Butan said. "His ability to blend character, action and comedy is as good as it gets and he is a perfect fit for this project." MadRiver recently completed James Gray’s Lost City of Z, set to release next year with Amazon Studios, and is in post-production on Peter Landesman’s Felt starring Liam Neeson and Diane Lane. In Cannes, MadRiver Pictures partnered with Insiders’ to form a joint venture, IMR International, who handles international sales across all MadRiver and Insiders films. The District executive produces NBC’s “Superstore,” which just received a full-season Season 2 order. They also have Brie Larson’s directorial debut Unicorn Store in production. Fleischer is currently working on helming the sequel to the box office hit Zombieland. Gonzales is the author of The Miniature Wife and Other Stories, which won the Sue Kaufman Prize for First Fiction and the John Gardner Prize for fiction. A graduate of Columbia University’s School of the Arts, he currently teaches creative writing for the University of Kentucky and the Institute of American Indian Arts. They’ve since worked on “Banshee and Bosch,” and have sold shows to Cinemax and FX. Fleischer is repped by CAA, Management 360 and lawyer Warren Dern. Gonzales is repped by CAA, Management 360. Ames & Turner are repped by CAA and Gotham.